Peter Pan is a classic story of refusing to grow up and wanting to escape the pressures of every day life. 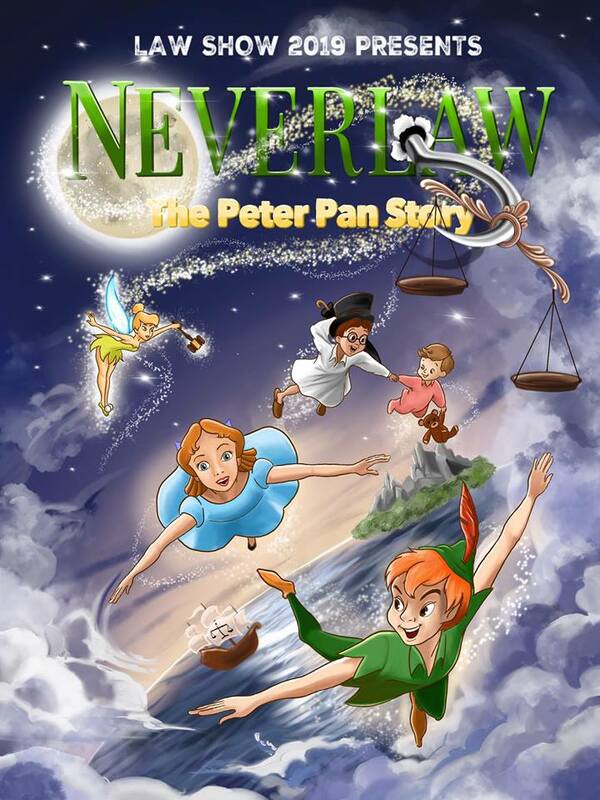 “Neverlaw: The Peter Pan Story” follows the lives of three U of A law students as they meet the fabled Peter Pan – a student who abandoned his articles after realizing that practice was unlike he imagined. Peter and Tinkerbell lead the gang to Neverlaw, a law-less island on the North Saskatchewan River that only appears to those who need it most. The show culminates in an epic face-off between Peter and his rival Captain Hook, where Peter ultimately learns to believe in himself and grow up into the best lawyer that he can be.